Take customer satisfaction to the next level. Use Constant Status to help customers stay in the loop on how and when outages will impact them. 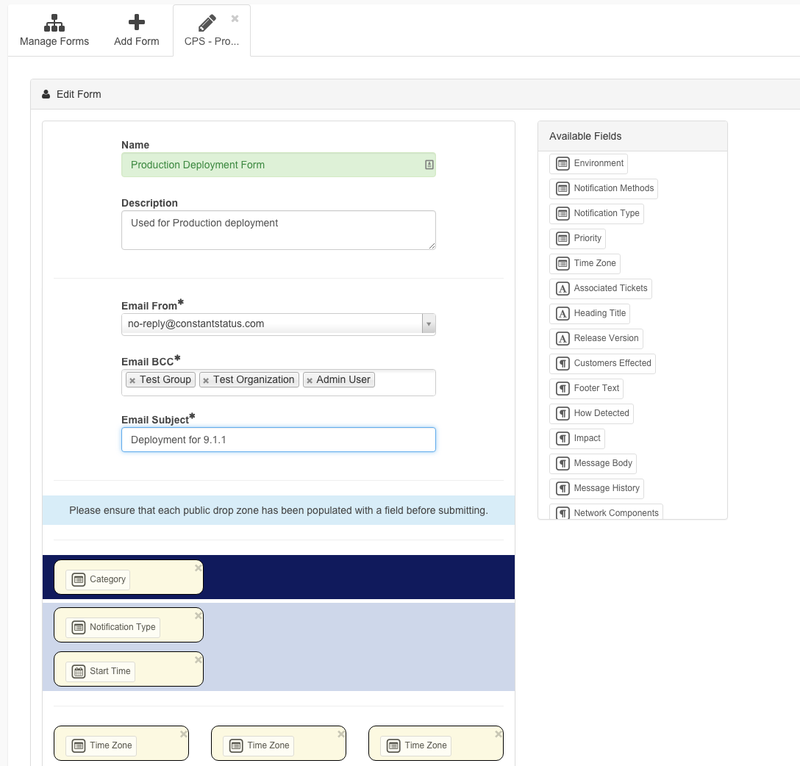 With the form builder you have the freedom to select from a pre-existing set of templates when creating your notification forms. Creating a new form is as easy as picking a template and dragging and dropping your desired fields on to predefined areas in the order you desire. Notification forms also have the notion of public and private fields where public fields are viewable by customers and private fields are for internal consumption only. As an example, a form could include a private field that tracks how an issue was discovered during an unplanned outage. This type of information might be deemed superflous for a customer but invaluable to your team when performing a post mortem. 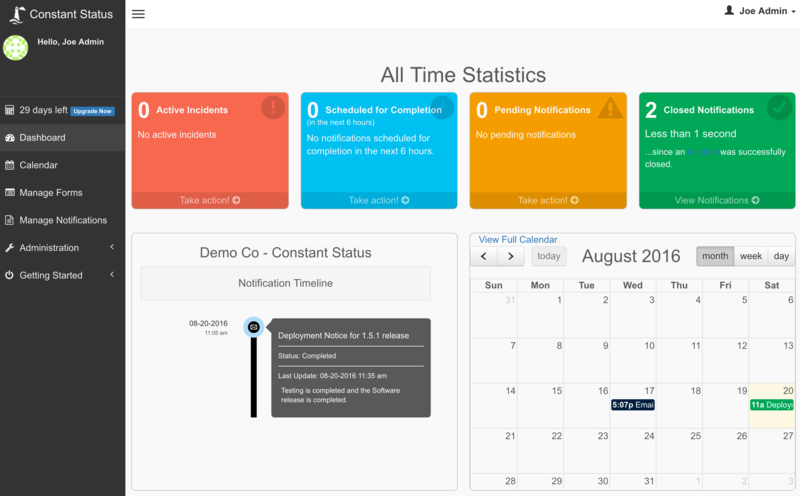 Access the Dashboard to see impending planned outages, maintenance windows, or a quick glance of what happened on a particular day in the past. 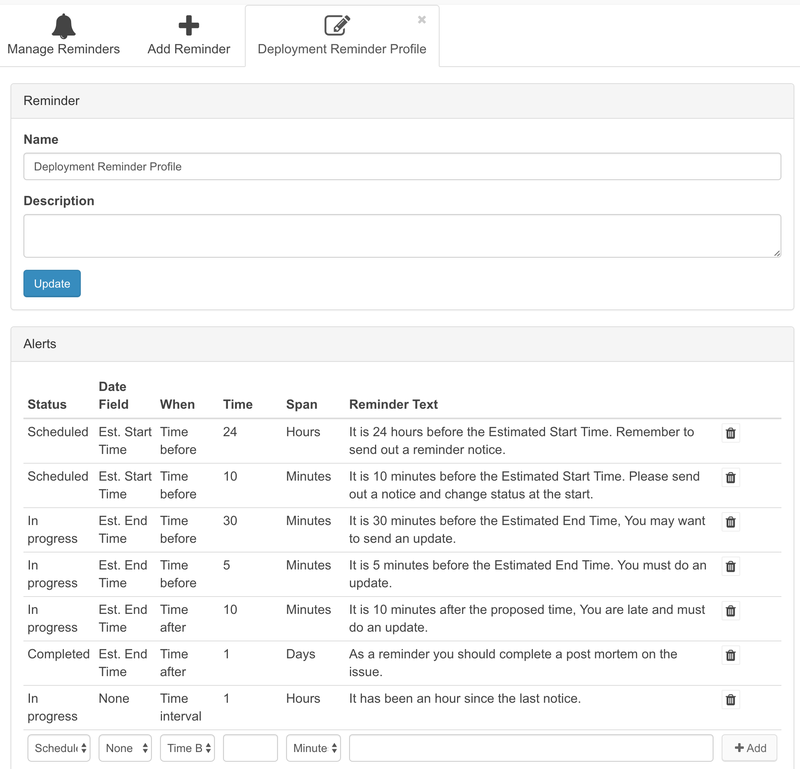 Fully customizable notification lists based on organizations, groups, and individual users. You are in complete control of who gets notified and when. Never send a notification to the incorrect group of customers again simply by placing users in to specific groups and organizations. The individual responsible for sending the notification only has to select from a predefined group based on the notification form template that was previously created. No more guesswork or asking who should receive the notification. Various channels are available to send out notifications. Text to speech support via `Phone Channels`. For customers that prefer to receive a phone call, simply create a phone channel, configure your messaging, and then add it to your notification recipient list. When you send the notification any users in the recipient list (including those in groups or organizations) that have a phone number in their profile and that have opted in to receive phone calls, will receive a phone call from Constant Status. Slack channels can be utilized for broadcasting notifications to your users. Configure channels based on the customers you're targeting. 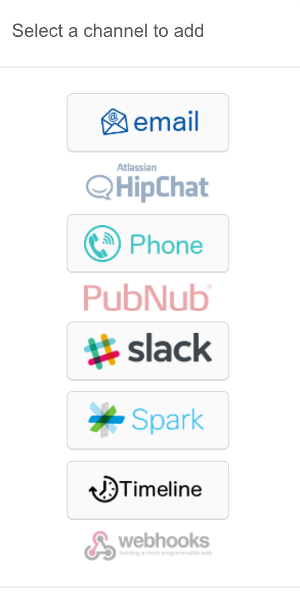 Send Cisco Spark messages via Spark channels. Setup a Spark room and map it to a channel. Timelines are used to display a group of notifications in chronological order, and are created using field level filters. Make your timelines public, protected, or private based on if your customers are internal or external. Get a Trial now and get started sending out your formal notifications immediately. 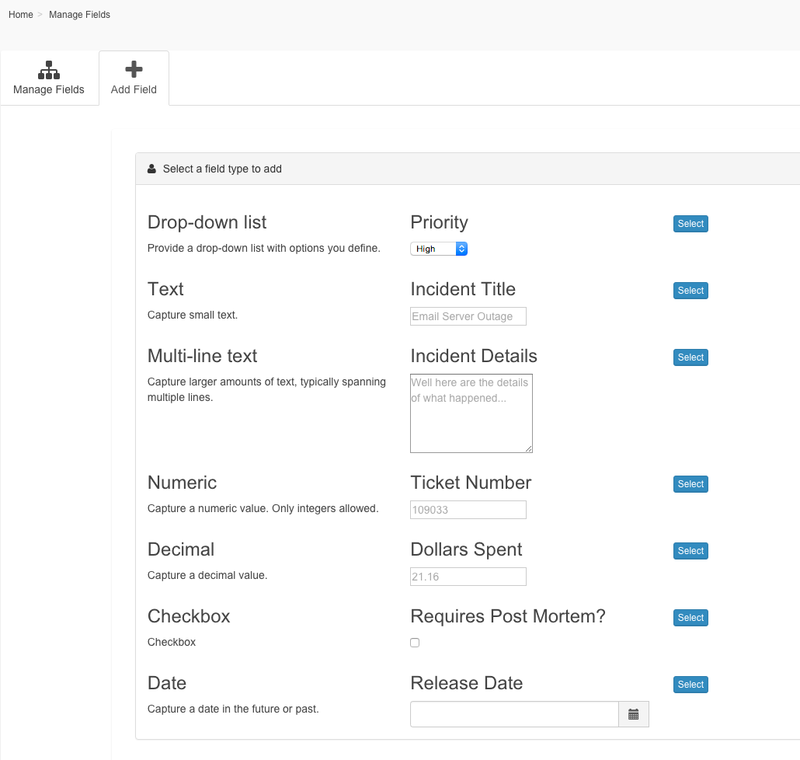 Customize the fields and forms to send notifications that meet your needs. Whether it is your outages, maintenances, or even HR notices, Constant Status is an easy way to have an audit trail without searching through your email.